This page has been created for people who want to learn more about plants, especially in the context of their taxonomy (Latin names, etc.). This is by no means an exhaustive list of all available Web resources on a particular genus. Visit the Land of the Glandular Trichomes, a microscopic look at plants in the Lamiaceae family. Species in the genus Asarum are commonly referred to as the Wild Gingers, and the rhizomes of many can actually be used as a ginger substitute. When used in cooking as a ginger substitute, the desired amount is usually doubled. The compound asarin, derived from the root of A. europaeum, resembles camphor. The flowers of plants in this genus are beautiful yet odd, and several species are appreciated by gardeners. 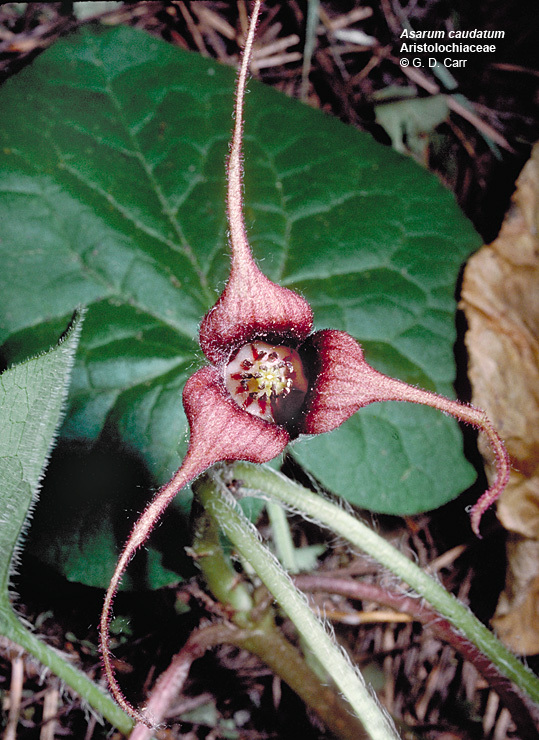 The seeds of Asarum are prized by ants, which disperse the seeds after consuming its oil-carrying structure, termed an elaisome. 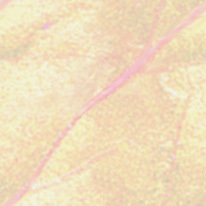 View an image of A. shuttleworthii (Mottled Wild Ginger) from the Botanical Gardens of the University of Durham. The Time/Life Virtual Garden Plant Encyclopedia has detailed descriptions and growing instructions for A. canadense (Canada Wild Ginger) and A. europaeum (European Wild Ginger). Here is a photo of A. canadense from Albion University. Stop by the Plant Delights web page for a look at several hard-to-find species of Asarum. If you like what you see, order some! On the CyberPlantsman home page, Barry Glick has written about the genus Asarum as having some of the most underused plants with respect to horticulture. The University of Hawaii has an excellent photo of a flowering A. caudatum. BoDD - the Botanical Dermatology Database, made available from the Department of Dermatology at the University of Wales College of Medicine, provides information about how certain species of Asarum can cause dermatitis. Herbalists will want to visit botanical.com to find out more about the herbal properties of A. europaeum. Genders, Roy. Edible Wild Plants. New York: van der Marck Editions: 1988. Heywood, V.H., ed. Flowering Plants of the World. New York, Oxford University Press: 1993. Neiring, William A. and Nancy C. Olmstead., eds. The Audubon Society Field Guide to North American Wildflowers, Eastern Region. Alfred A. Knopf, New York: 1979. Click on the envelope and send me some email!